I am passionate about exotic animals and have owned several in the past. I adore writing articles about their sensitive care requirements. African pygmy hedgehogs are beautiful, inquisitive little animals that require a high-protein diet in order to thrive. 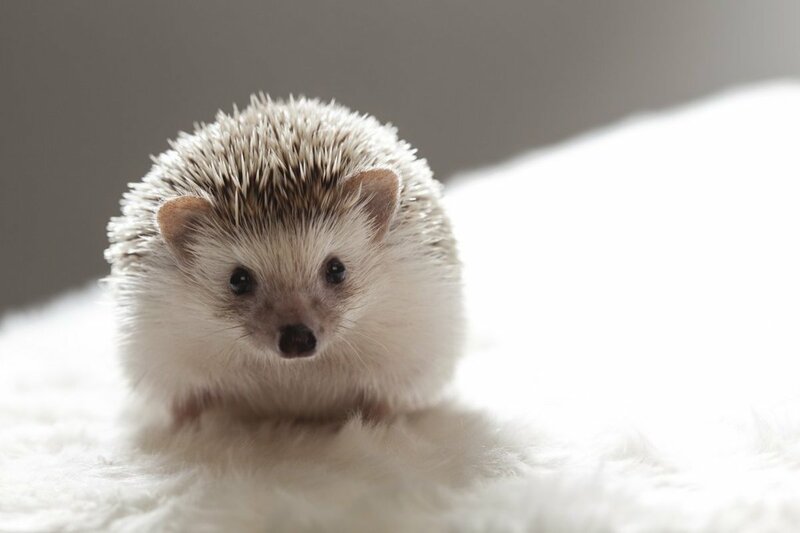 Many people struggle to realize that hedgehogs are, in fact, not even related to hamsters, mice or rats. They are naturally insectivorous animals and cannot be fed a rodent's diet (nuts, seeds and grains). 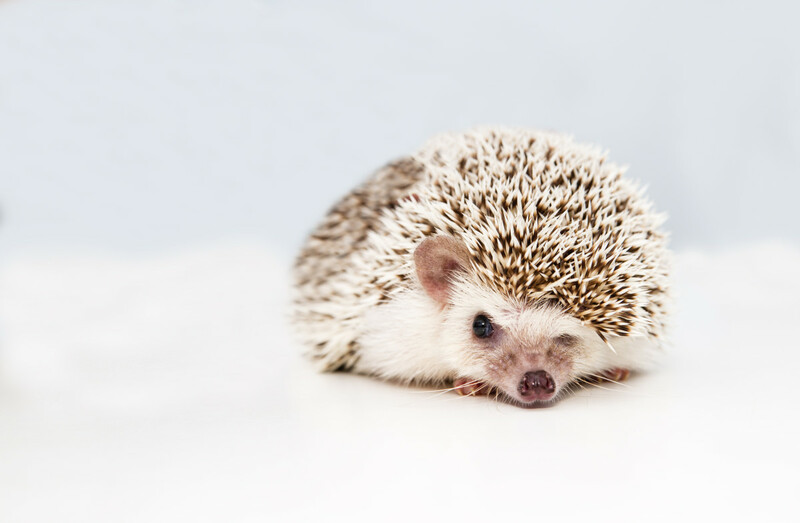 Possessing incisor teeth, the optimum diet for a pygmy hedgehog is much more similar to that of a cat or a ferret. 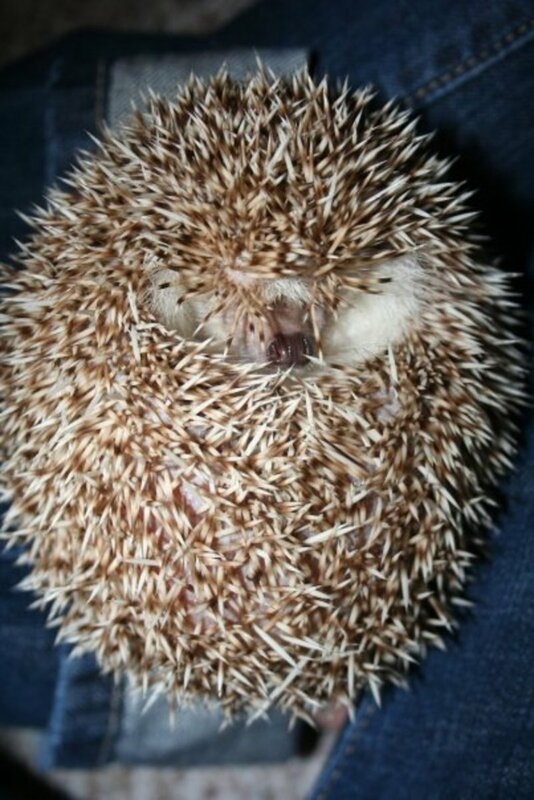 Pygmy hedgehogs may eat insects in the wild, but they are prone to obesity in captivity. It would also be nearly impossible to regularly provide them with a varied mix of insects, which they would need in terms of obtaining all their nutrients. Therefore, they are the healthiest when fed very high quality, dry cat food with a high protein percentage. This should be the staple of their diet, which can be supplemented with some insects, cooked meat and some fresh fruit/vegetables. Pygmy hedgehogs require a small bowl of dry cat food every night (since they are nocturnal and eat at this time). It is essential that the cat biscuits are high in protein, good quality and poultry-based. They should never be fed fish-based cat food. When selecting a brand, you must look at the label. You want to see either chicken or turkey as the first ingredient listed, instead of cereals. The protein content should be at around 30-40%, and the fat content should not be higher than 10-15%. If your hedgehog is extremely active or recovering from an illness, a slightly higher fat percentage will not hurt him, but pygmies are very prone to obesity and fatty liver disease when kept as pets. You want to do all that you can to ensure that they are mainly consuming protein, as this is what they need to maintain muscle mass, avoid illnesses such as diabetes and live into old age. You should strive to include as many brands as possible. None of us know exactly what pygmy hegdehogs require to be as healthy as possible regarding mironutrients, so it is safest to feed them a mix of as many different high-end cat food as possible. Good brands include Hills Science Plan Light, Royal Canin Light, James Wellbeloved Light and Purina One Light. Notice that the above brands all include the word "light" in them. This is because they are low in fat and high in protein, which is ideal for your pygmy hedgehog. 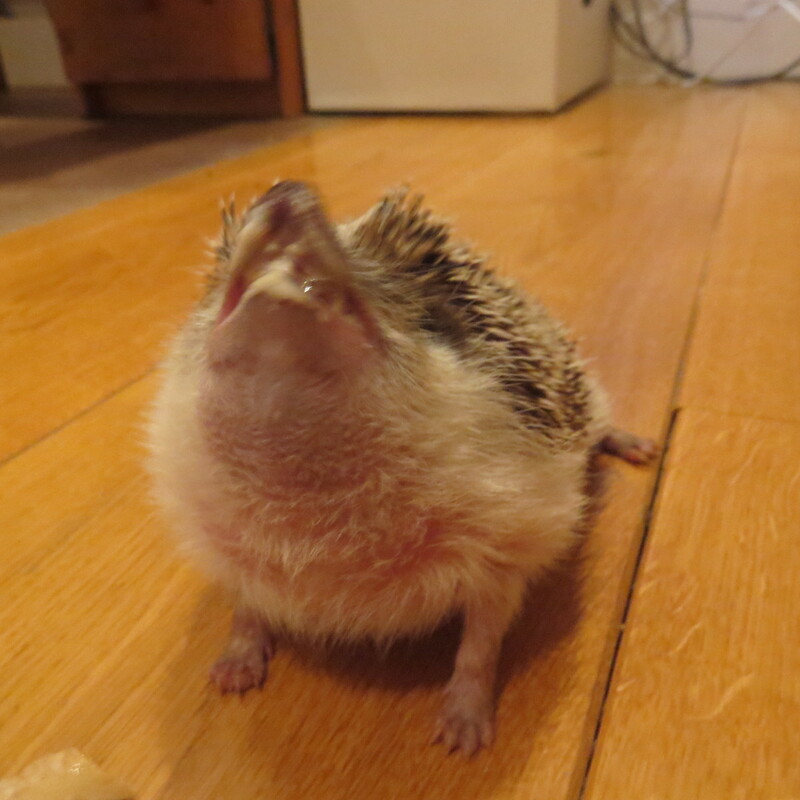 Don't Feed Your Pygmy Hedgehog Food for Wild Hedgehogs! 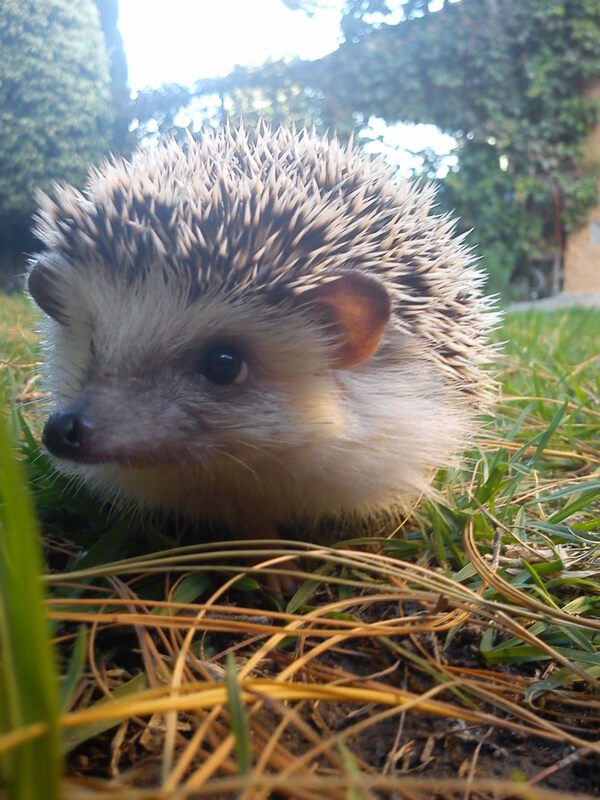 You must avoid the appeal of commercial "hedgehog food", such as the Spikes range. These products are designed for wild garden hedgehogs, and are usually very fatty and completely unsuitable for African pygmy hedgehogs. They are also lactose intolerant, so should never be fed anything containing milk. 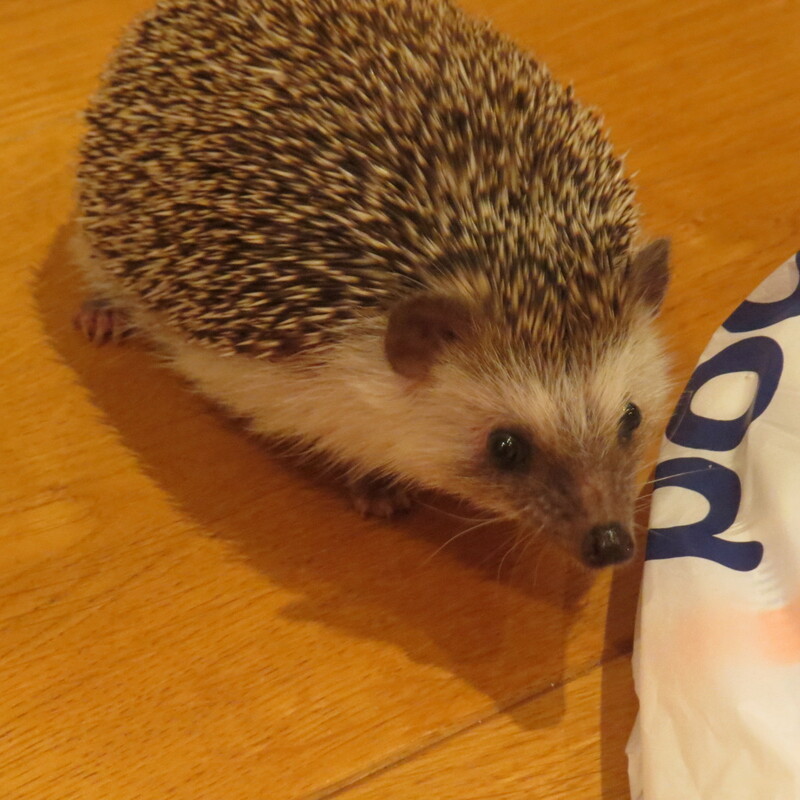 If you feed your pygmy hedgehog a mix of good cat biscuits, such as the brands I mentioned above, you will be supplying him with most of the nutrients that he needs. However, you should definitely supplement his diet with some exciting treats and snacks. This will keep his appetite keen and further enrich his diet. Feeding your hedgehog some fresh food while you play with him during the evening is a great way to bond with him, as he will associate you with contentedness and safety. Then, you can leave him his bowl of dry cat food (and fresh water, of course!) to eat throughout the night while you are sleeping. 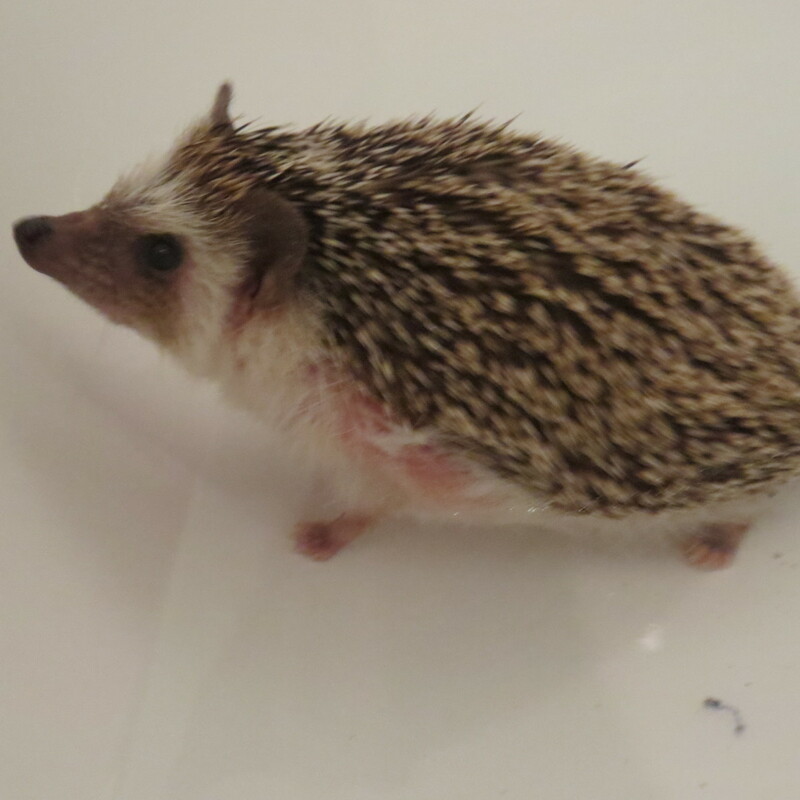 Some people feed their hedgehogs small amounts of fish, but it is generally not recommended. The general consensus is that owners should stick to meat. Other than this, they enjoy egg, some insects as a treat, a wide range of interesting fruits, vegetables and herbs. 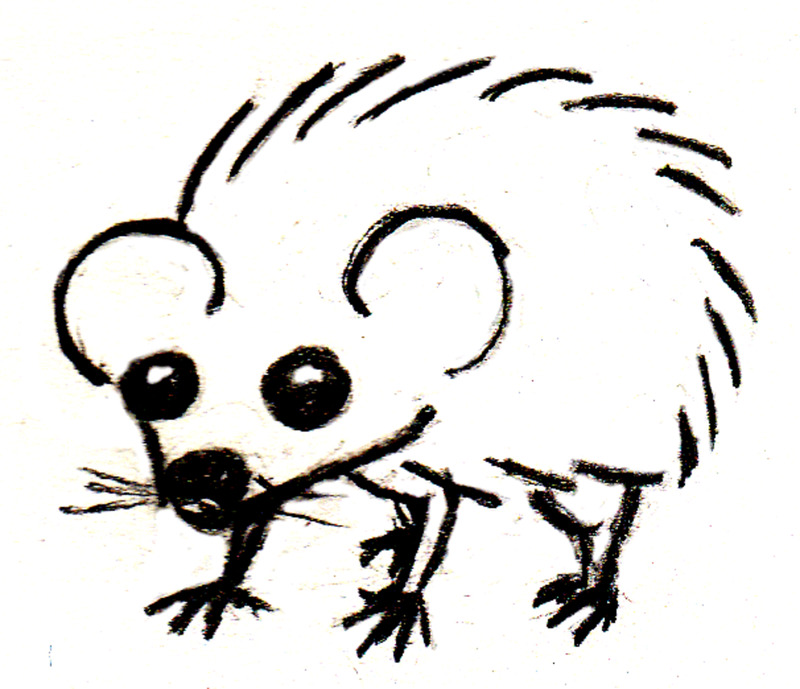 Every so often, you might like to feed your hedgehog some freshly cooked chicken, turkey or (less frequently) beef. It is advised that you avoid pork, as it is fatty and generally unsuitable. Obviously pygmy hedgehogs shouldn't be consuming any spices, oil or salt, so you must only give them small amounts of plain, unseasoned meat. 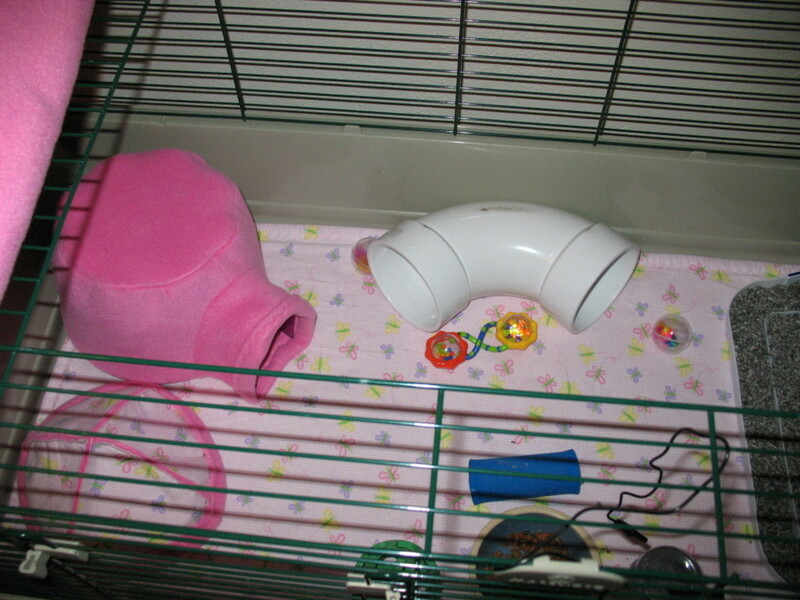 Don't leave it in their cage overnight, as it might go off, risking illness if they consume it. Pygmy hedgehogs deteriorate rapidly when they are ill and easily become dehydrated/lose weight if they wind up with diarrhea, so you must be careful when feeding them meat. You don't want to overdo it with fruit/veg, as pygmy hedgehogs are not herbivorous and therefore can easily develop diarrhea from consuming too many plant-based foods. 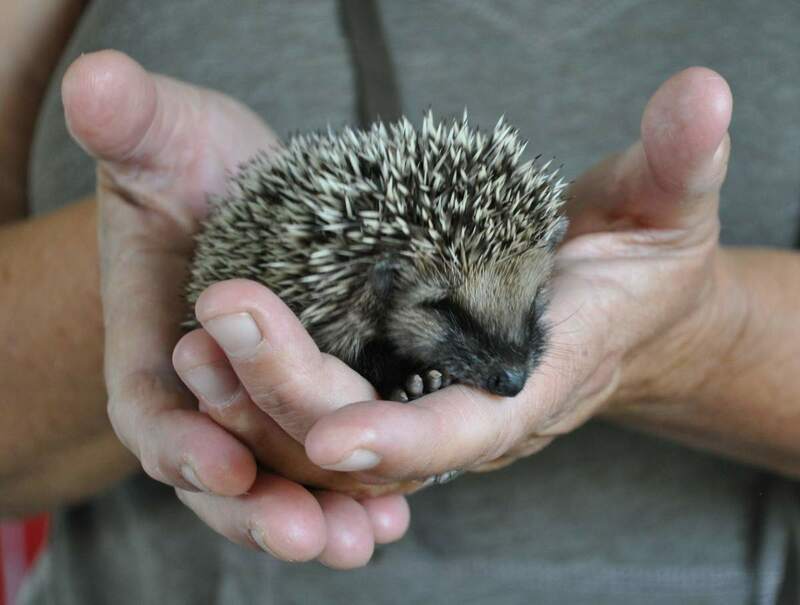 However, they work well to stimulate your pet's appetite if he is ill, rehydrate him during hot weather and are accepted and even loved by many hedgehogs. It must also be noted that pygmy hedgehogs are sensitive to blood sugar (glucose) spikes, and are known to be prone to diabetes, especially as they age. Therefore, you should limit the amount of fruit that they eat, and only offer them fruit once in a fortnight. Vegetables can be given every other day in small amounts, as they do not cause a rapid increase in blood sugar. Safe fruits: banana, apple, melon, blueberries, raspberries, cooked pumpkin, pear. Safe vegetables: carrots, sweet corn, bell peppers (they love these! ), cooked sweet potato, raw/cooked broccoli and kale (a great way to provide them with calcium). Safe herbs: Parsley (also called cilantro) is loved by many hedgehogs. Remember - feeding fruit/veg/herbs can result in some intense self-anointing from your little pet, so you may need to bathe him more regularly! Insects can be provided as a treat, but should not form more than 5-10% of their diet. This is because hedgehogs eat an incredibly varied mix of insects in the wild, and we cannot readily provide them with so many different species of insect while they are living in captivity. This is why they are best-suited to a cat-food-based diet that is high in protein, but insects can be great treats, and are readily accepted. Safe insects: mealworms (adored by pygmy hedgehogs, but very fatty), small crickets, waxworms, silkworms. 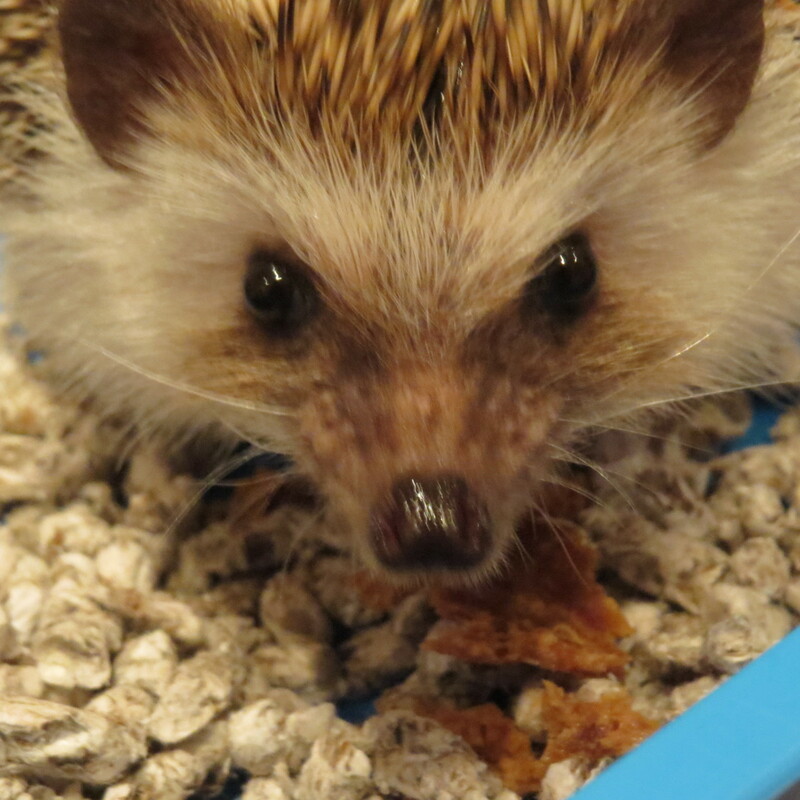 I recommend that you buy some canned mealworms for your hog, as you can store these in the fridge and feed him a few every so often, mixed into other foods. A great example is "Can O Worms", which can be ordered from Amazon. My hedgehog absolutely adored these, even when he was very elderly and hardly had an appetite. 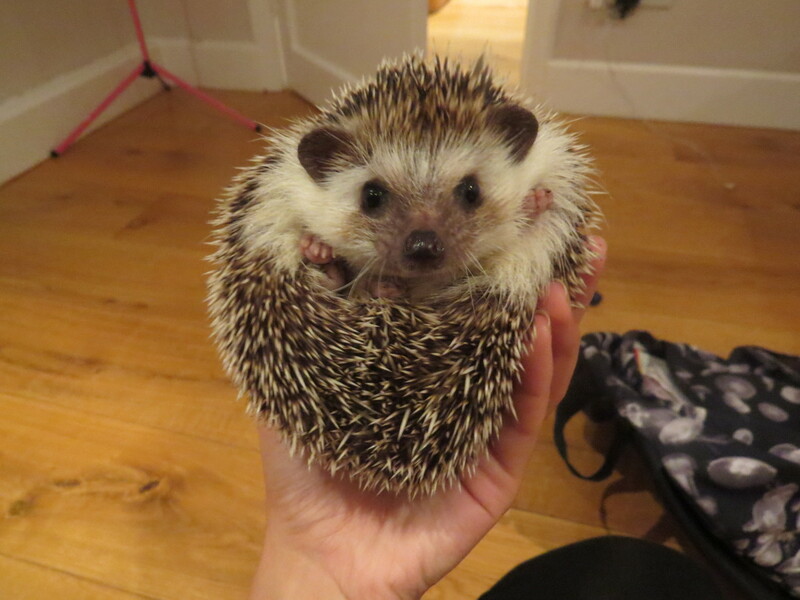 Have you ever owned a pygmy hedgehog? Yes, I currently have one! How to be a good owner of a hedgehog with pictures. Really good information and more accurate, we have had ribena since getting her as a wedding present, she is now 3 in july, and has give us hours of pleasure and a few worries.She is stubborn and no matter what we have tried, refuses any fruit or veg, she was the runt of the litter and has developed wobbly hedgehog syndrome ( occasionally) and although this is a cerebral disorder, seems to produce a sad yet amusing backward walking behaviour when she eat live meal worms only. Otherwise she is full of vigour. She has a passion for Turkey. Great great article on what to feed your hog. Love the hog doing it’s downward dog poise. 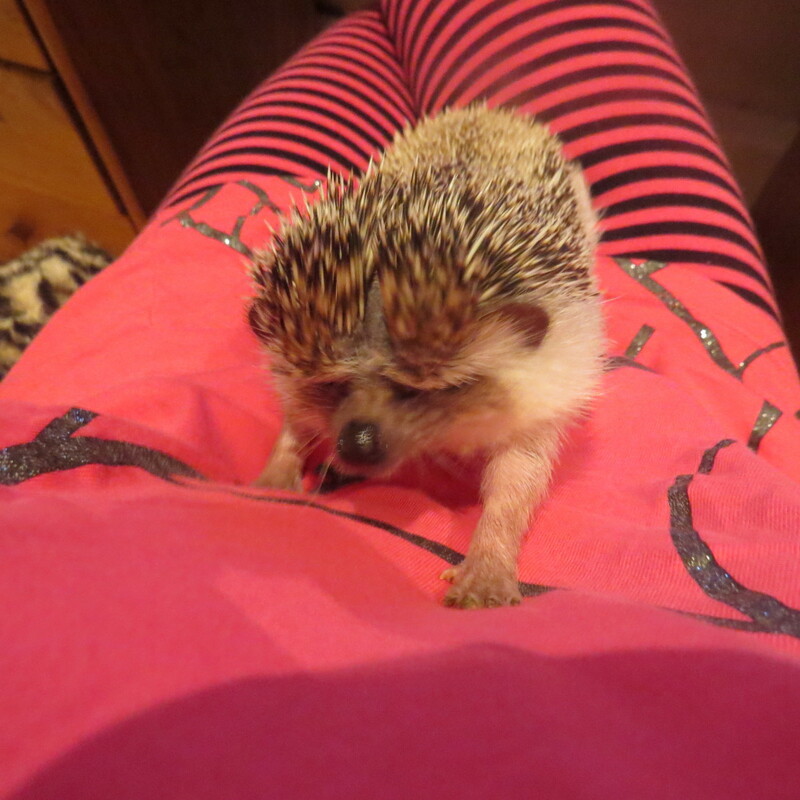 I have a niece that owns a hedgehog. 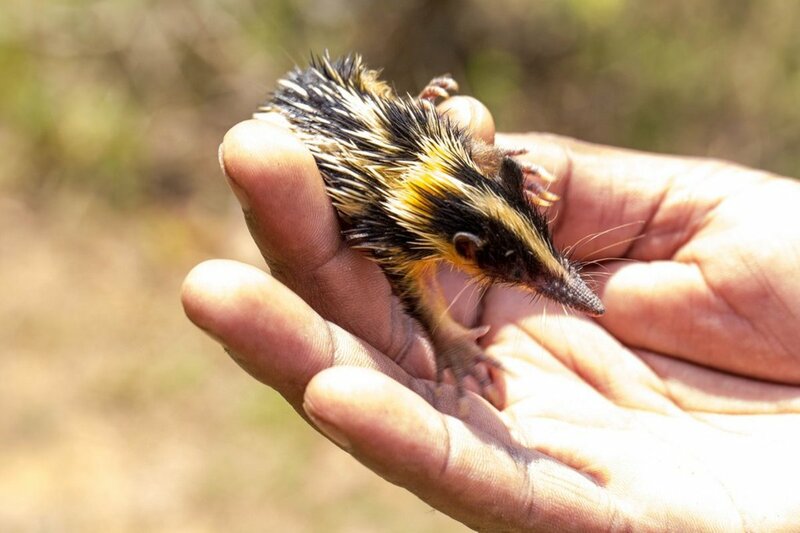 Not the pet for me, but they are adorable little critters! Love the photos of yours!